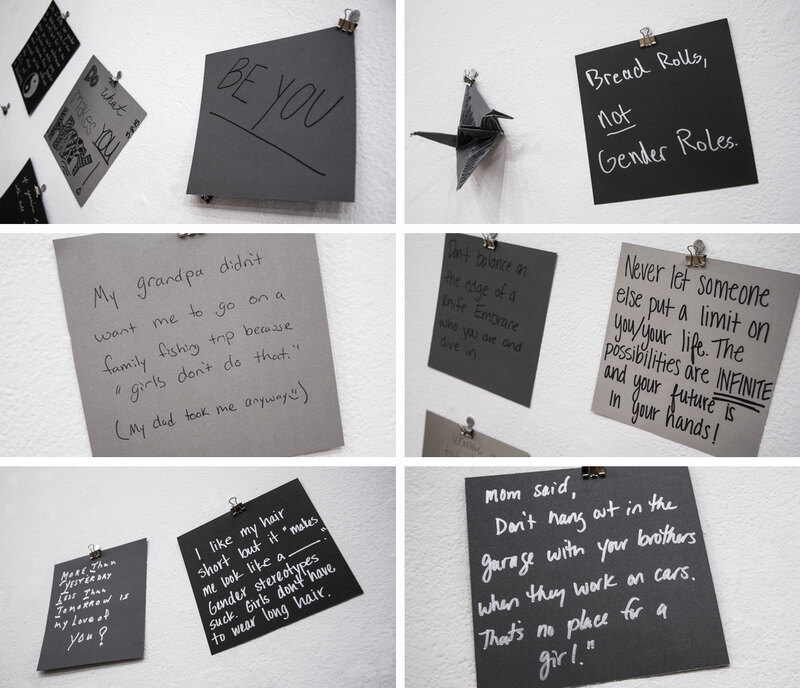 Lose the Labels was an informative and interactive installation with the goal of shining a light on gender stereotyping of childhood toys and activities. 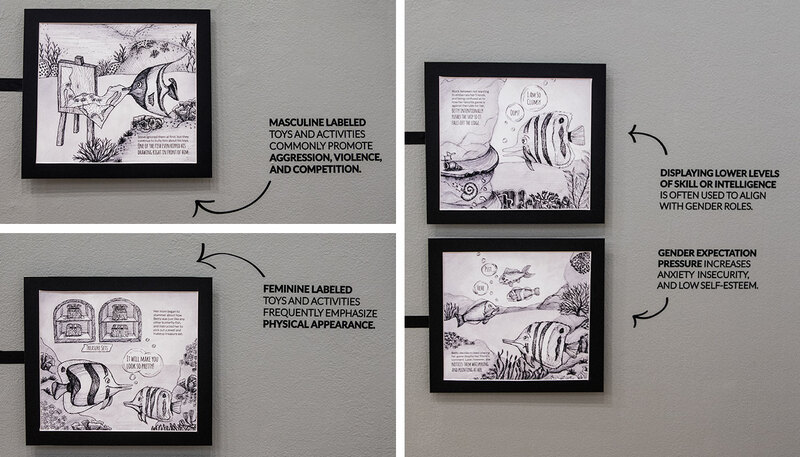 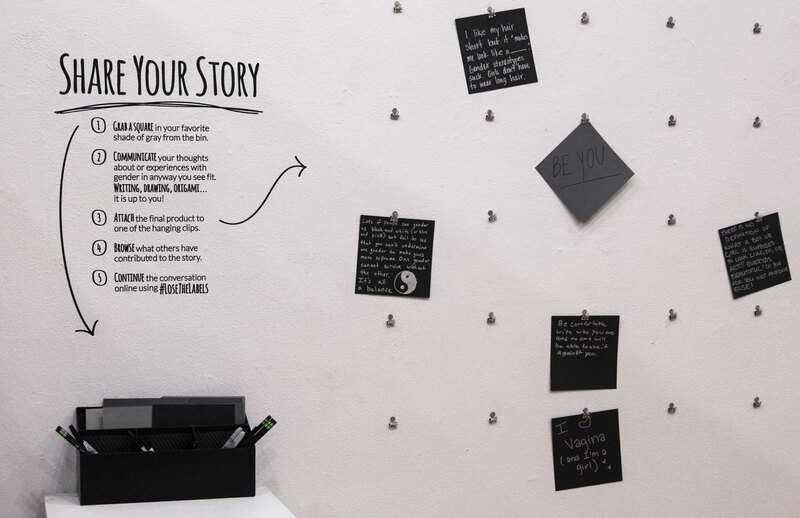 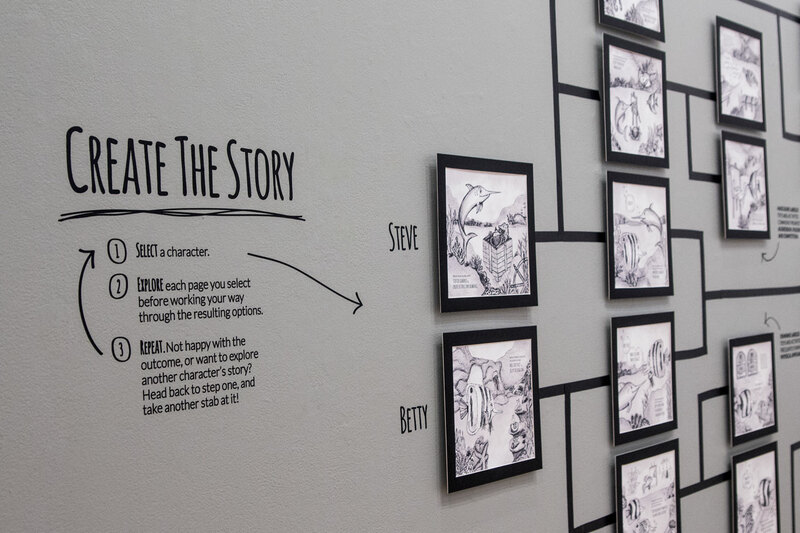 The installation opened with a storybook flowchart created using hand drawn illustrations that allowed the viewer to make decisions along the way to generate a variety of story outcomes, followed by the Share Your Story section that prompted the audience to share their own feelings and experiences with gender stereotypes. 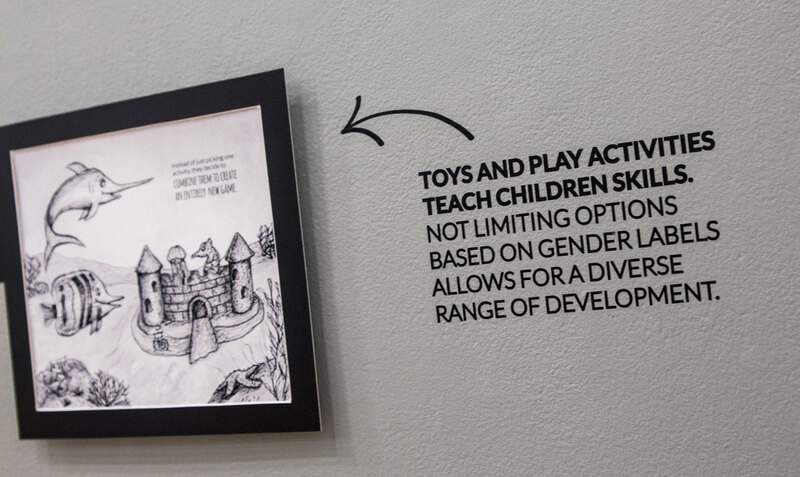 The overall goal was to generate discussion and encourage participants to observe how categorizing childhood play by gender reinforces stereotypes, and to consider how those labels can shape the way children experience the world around them.